Campaign to ban foxhunting in Scotland. Holyrood, Edinburgh, Uniterd Kingdom. Edinburgh, Scotland, United Kingdom. 7 December, 2017. 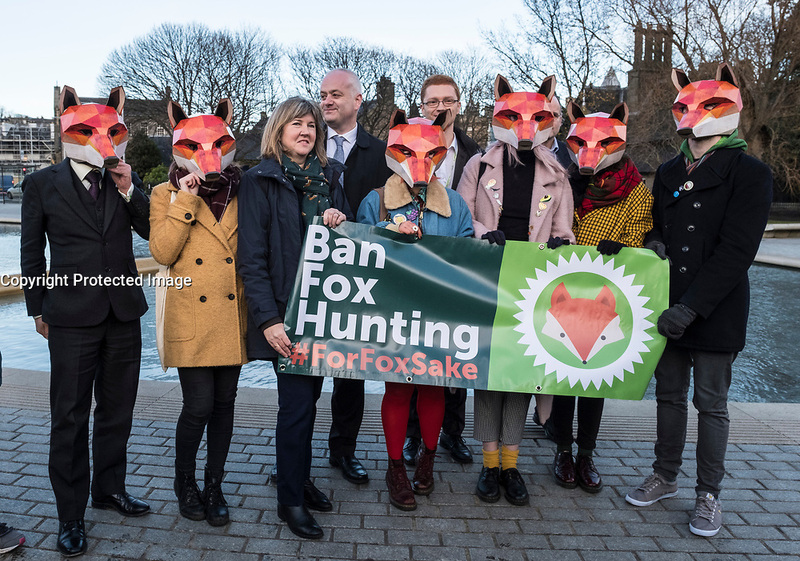 Scottish Green MSP Alison Johnston (3L) joined with animal welfare campaigners at the Scottish Parliament at Holyrood to support her member's bill to ban fox hunting in Scotland.